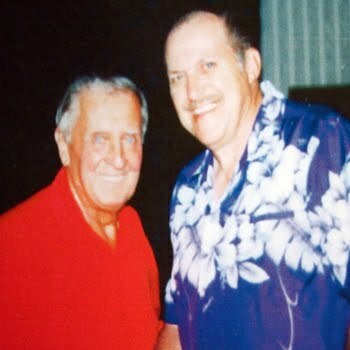 Chuck Spurlock interviewed February 2011. Chuck Spurlock is on a quest - to keep polka music alive and well in Southern Colorado. He is well aware of the ebb and flow that is the popularity of the genre. In 1979, he and his band were booked for 80 shows. Last year, he performed at 15 gigs. "Things are looking up again, this year. We seem to be getting popular again," he said. 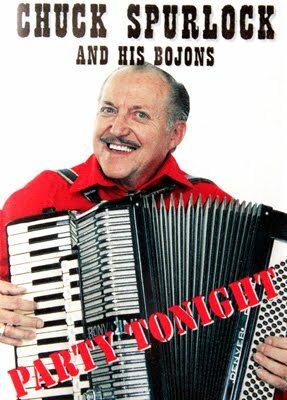 At age 77 Spurlock is literally the king of the Pueblo polka scene. The music has been a part of his life since his grandparents migrated to the area from Czechoslovakia and Yugoslavia. "Music in our family was a tradition - dating back to my great grandfather, who was the bugler for the Kaiser in Europe," he said. Born on Feb. 26, 1934, in an upstairs bedroom of his grandmother's house in an area called "Bojon Town," Spurlock took up the saxophone at the age of six. "My mother hired Lou Amella who taught my younger brother Edward the accordion and I took saxophone lessons at the Phillips Music Store in Pueblo - I was also in the Phillips Crusaders Marching Band. My brother dropped the accordion lessons after a short period and my mother asked me to learn. So I took lessons from Lou Amella." By the age of 14 he had his first paying job. "My mom's cousin owned Knaflec Tavern on Northern Avenue. My mom called him over to our home to listen to me and my friend, Donald Peterlin, who played a trumpet. He was impressed with the accordion and hired me for $5, for two hours work. I told Donald if he came with me I would split half with him. It just so happened on the first night there was a guy at the bar who offered me a dollar to play the song "Bushel and a Peck" before our two hours were up. We made $14 that night - he asked us to play the same song 13 times! No need to tell you I haven't played that song since 1947." Spurlock attended St. Mary's Catholic School, then graduated from Central High School in 1951. "I joined the U.S. Navy right after high school, serving in Hawaii, and then aboard the U.S.S. Rowan, in Korean waters." He was discharged in 1955, enrolling in college at Compton Junior College, in California. He returned back home, got married (1961), and became a family man in 1963. "It was important to me to provide for my family. 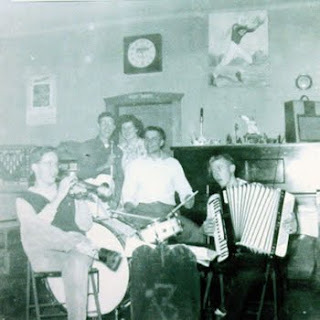 Besides working in the clerical field at CF&amp;I, I held the Quartermaster post at a local VFW, which paid me a small sum each month - and I played music for extra income." As word got out about Spurlock, he started to become a regular entertainer at Slovenian weddings. In 1979, he and his six-piece band started playing oldies rock. "Chad Short was my singer, and he sounded alot like Elvis." "We practiced twice a week above a bowling alley in Bessemer. The owner of the alley, called a friend of his in Chicago who was a booking agent. He offered my band a two year job at $5,000 per month to be the opening act for the Dean Martin Gold Diggers. Unfortunately, that amounted to $1,000 each per month or $250 a week for two years. I was a married man, with a child, and figured I could not support my wife and daughter on that kind of money. So I turned down the deal. The musicians in my band were mad and said I was holding them back. So they started their own band." 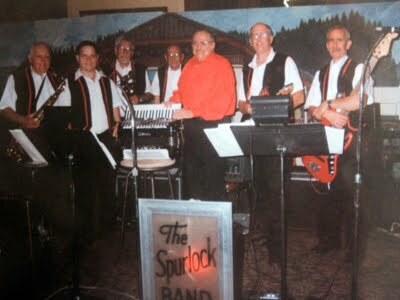 Throughout his lengthy career, Spurlock has fronted The Polka Dots, The Kadets, Cestrio's, Chuck Spurlock Variety/Polka Band, and Chuck Spurlock Variety Band. "I'll tell you something when you go by various names like the Cestrio's [my 3 initials with trio added on the end] some people can't find you in the phone book to hire you all the smart band leader's use their full names so people can find you in the phone book. This is something I learned the hard way over the years." 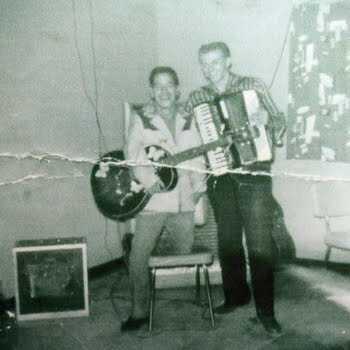 Many Pueblo music veterans have included Spurlock's band on their own resumes, including Angelo Rotondo (The Teardrops, Guys and Doll), Rick Terlep and Earl Poteet (The Crew), and Joey Buffalo. From 1979 to 1981 Spurlock enlisted the vocals of the aforementioned Chad Short along with John Dorland. "John quit with Chad, and formed their own band. John didn't rejoin the Spurlock Band until 1998 - he's been with me 13 years." Other vocalists throughout his career included Dan Lazzarini, Richard Lopez, Robert Valdez, and Mike Cordova. Currently he performs with musicians Bob Jentzsch, Roland Brooks, Scott Epstein, Dave Yarberry, and Mike Landreth. One of his biggest thrills came in 1992, when world-reknowed polka superstar, Frank Yankovic asked Spurlock to join him on stage. "He appeared at our local Eagles Club. When I got on stage he asked what I would like to play. I told him the song that made him famous,'Just Because Polka.' We received a nice ovation, and he asked me to play another song which we did, 'In Heaven There Is No Beer' - then another, and another. Before you know it, I was up there about 30 minutes." While he never made any vinyl recordings, in 1998 Spurlock released the cassette, Party Tonight. He filled orders from California to Pennsylvania - and Holland. "I made 500 copies, and it took me three years to sell out of it." 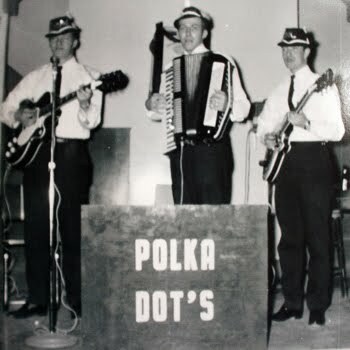 Listen to "Polka Music Polka"
Spurlock continues to diversify his setlist - including 1950s rock, swing, Latin, and even country. Dave Yarberry, Chuck Spurlock, John Dorland, Scott Epstein. "I don't get booked for weddings - the younger generation like disc jockeys," he said. "The younger adults don't polka or waltz much anymore. I keep in contact with musician friends in the East and they tell me the same story. The younger generation like rap and Metallica, which at my age I don't want to start over."